Sugarloaf Reservoir – before the hailstorm! 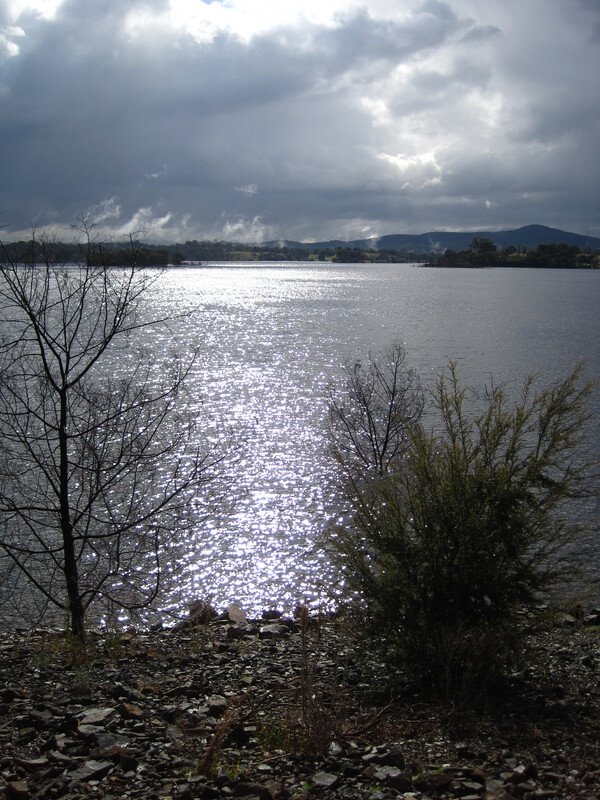 Having spent years walking in the most dire weather in Scotland and England, the thought of a bit of rain and cold wasn’t going to deter me from my planned walk around Sugarloaf Reservoir, Christmas Hills (north-east of Melbourne), yesterday. More fool me! – at 6C and with hailstones bouncing off me, the bemused mobs of kangaroos I disturbed were clearly questioning my sanity!! I had the place to myself (unsurprisingly!) & flocks of Eastern Rosellas, but the sunshine found me for 10 minutes, drenching everything is a wonderful saturated colour. It’s a great walk for the family and will definitely be in the Melbourne’s Best Walks book – but perhaps aim for a kinder weather forecast when you do it!!! Off to Churchill National Park tomorrow, hoping for a break in the weather…. (ever the optimist!!!). I know that feeling of being immutable to cold weather, I used to live in Scotland. It certainly does make everywhere else feel like the Carribean! Hi Athena – yes, I have thought of doing a house swap with someone from the Knoydart in their winter, just so I could get over the idea of romantic winters and face up to the fact that it’s just darn cold and dark! I figure I would have no problems with getting takers for an exchange to Melbourne’s even unpredictable summer!